Apart from a few fireworks, November can be a dark and dismal month as winter really kicks in. 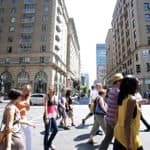 But before prices spike around Christmas, it’s also a great time to track down some winter sun without spending a fortune, both long-haul and short-haul. 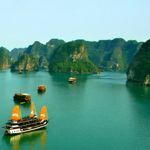 This month is ideal for a singles holiday in South East Asia or Central America with the end of the monsoon or rainy season bringing better weather and some great exotic alternatives to the UK. Here’s my pick of destinations if you’re travelling solo in November. Winter sun is the holy grail once British summer time has officially ended. 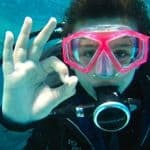 Close to home, you can still find good temperatures and water warm enough for diving in Malta, as well as plenty to explore on land. If you don’t mind a long-haul flight, November is one of the best months to visit Mauritius with its white sand beaches, rainforested mountains and fascinating culture. 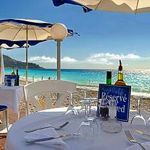 I’d recommend Mercury Holidays which has a great range of beachfront hotels with no single supplements, whether your budget stretches to the Mediterranean or Indian Ocean. 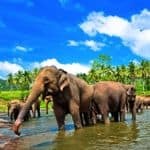 Or try another Indian Ocean destination, Sri Lanka, where you can combine beaches with ancient sites, tea plantations and fascinating wildlife. Book your own personal driver and guide with a trip specifically for solo travellers from Barefoot Traveller to whisk you around the island’s main sights. Don’t forget India itself. Warm days and cooler nights, without the searing heat of summer or the rain of monsoon season, makes November a great time to explore the Golden Triangle. Singles-only tour Exotic India takes in some of the country’s most iconic sights including the Taj Mahal and spotting tigers in Ranthambore National Park. While it’s winter in the northern hemisphere, head down under and you’ll find summer – there’s plenty of choice among these escorted tours in Australia. If you have the time, the three-week Highlights of Australia & New Zealand shows off the best of the two countries, from cities to coast and countryside, with room share options as well as tailored private itineraries. 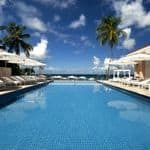 And although it’s still officially the end of the rainy season in the Caribbean – with accompanying low season prices – you’ll find plenty of sun and warm temperatures. 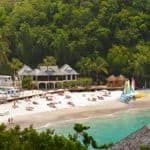 Sign up for The BodyHoliday in St Lucia and your all-inclusive break will include everything from drinks to watersports, daily spa treatments, yoga and archery, so there’s plenty to do between topping up your tan. With king-sized beds in the resort’s dedicated single rooms and no single supplements, it’s the ideal getaway if you’re looking for a Caribbean singles holiday. Singles specialists Friendship Travel have a solos-only trip to Cuba as well, including a visit to Havana, while Breathless Punta Cana Resort in the Dominican Republic is great for activities, meeting new people and chilling out in the sun. Or try a Caribbean cruise instead. Norwegian Epic, with its singles staterooms and solo-friendly facilities, heads to the Caribbean for the winter months with itineraries across the western islands, so there’s plenty of choice – and more than enough to entertain on board if you do run into the occasional shower. You could discover Africa from the sea too with an over-50s cruise on Saga Pearl II including itineraries visiting southern Spain and Morocco too. The cruises depart from Portsmouth, so there’s no need to fly. If you are dreaming of Africa, spot the Big Five on a solo-friendly safari holiday. Around 60% of those travelling with Tucan Travel are on their own, and this month you could see the Great Migration reach the Serengeti – the Mara and Serengeti trip visits the Ngorongoro Crater as well as Kenya. Explore also says 60% of travellers on its small group tours travel solo. It has an inspiring selection of wildlife tours including a Namibia Lodge Safari where you’ll track elephants, rhinos and lions through the Etosha and Waterberg Plateau National Parks and visit the Cheetah Conservation Foundation. On The Go Tours has a wide range of nationalities on its tours with the majority of guests aged 50 to 65. Its tours in Turkey run year round, though November is a perfect month to explore Istanbul, the battlefields of Gallipoli and the historical treasures of Troy and Ephesus. Try this 10-day Turkey Unplugged tour. You could also join a walking holiday with a group of other solo travellers. For example, the weather is great in Madeira, or discover the volcanic landscapes of Lanzaerote and Fuerteventura. I recommend Solos Holidays which has trips exclusively for singles, expert guides and a choice of gradings from easy to medium. Ethiopia – the only country in Africa never to have been colonised – is as fascinating as it is beautiful, with rock-hewn churches, pristine mountains, coffee plantations and unique festivals. Join one of these expert-led small groups tours. Or head further off the beaten track with a ranch holiday, including Arizona, where temperatures are still in the 20s. You could focus on mind and soul as well as body; Skyros runs personal development holidays with a friendly house-party atmosphere, while Cortijo Romero has a variety of courses including mindful photography at its centre in Spain. Not all of November’s best holidays include a long-haul flight – there are plenty of options closer to home. In Portugal, follow coastal trails including part of the Rota Vicentina in the south, or though the eastern Algarve discovering Moorish cities and coastal wildlife, on a small group tour with Explore. You might still find the sun shining in Italy too. 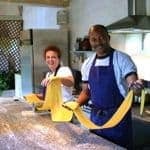 Head to the Bay of Naples, as well as venturing further north to Tuscany for a choice of music and other cultural tours with Kirker Holidays. 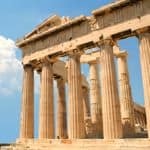 Or join a new singles-only cultural tour from Martin Randall Travel to Sicily to discover the island’s historical treasures. 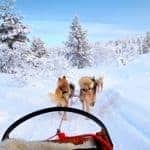 Or voyage even further north; how about Norway for three nights to see the Northern Lights on a five-day group tour that also includes bathing in geothermal pools and exploring volcanic landscapes. For some warm autumn sun – and fascinating cultural sights – this 9-night Morocco Highlights group tour hits all the right notes. November sees the beginning of peak season in Vietnam, Cambodia and Laos, as the dry weather begins but without the scorching temperatures of Spring. 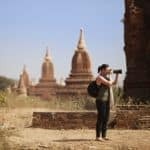 Specialists InsideAsia Tours have a string of guided tours to get a real feel for the culture and history of this fascinating country – a high proportion of the company’s guests travel solo, and it offers room share options to keep prices down. 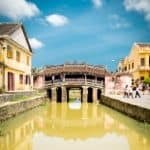 Indochina Encompassed takes in some of the highlights of all three countries including Hanoi, Hoi An and Halong Bay, as well as Siem Reap and the temples of Angkor plus Luang Prabang. And as high season starts, take your pick of the tours in Thailand – there’s no compulsory single supplement on the Time for Thailand trip, including Bangkok, Ayuthaya and Chiang Mai, or the Thailand, Temples & Tribes option if you have a little longer to spend. The Yi Peng Express includes the beautiful lantern festival in Chiang Mai to discover another side to this lovely country. If culture is high on your wish list, cast your eyes even further east to Japan. 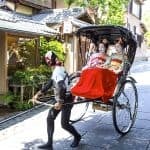 With clear days and relatively mild temperatures plus autumn foliage, autumn is one of the best times to visit and you’ll find no single supplement on selected small group trips from InsideJapan Tours. See everything from cutting-edge Tokyo to a traditional temple stay, as well as snow monkeys, bullet trains, geisha and gardens with Japan Unmasked, the perfect introduction to the country and its history. Or discover another side to Hong Kong with a walking trip from Ramblers Walking Holidays across some of the smaller islands and the unspoiled hill country. For a rather more relaxed escape, the Healthy Holiday Company has a spa break in Bali that’s ideal for solo travellers. There’s adventure to be found across the whole continent this month. 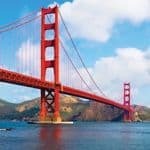 You could join a small group tour to America; go west on the Western Explorer tour, including California and a string of national parks, from Death Valley and the Grand Canyon to Yosemite. Or venture south of the border to Central America. The rainy season is coming to an end here, so it’s a great month to explore some of the continent’s less-visited destinations. 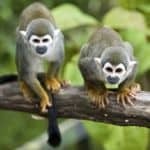 Solo travellers can join the Panama and Costa Rica Experience tour from Cox & Kings, exclusively for singles and particularly popular with over-50s. 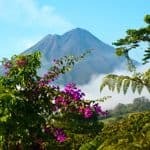 If you’d rather focus on one destination, I’d pick Costa Rica. 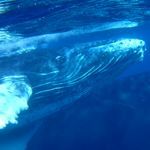 Thanks to its Pacific and Caribbean coasts, even the changing season means you can enjoy everything from surfing to turtle spotting. The wildlife is incredibly diverse and November marks one of the best months to spot the legendary quetzal bird. 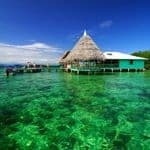 Volcanoes, cloud forest and rainforest, coffee plantations, beach and backwaters are just a few of the other highlights.